Each state has different requirements and steps to becoming an employable pharmacy technician. 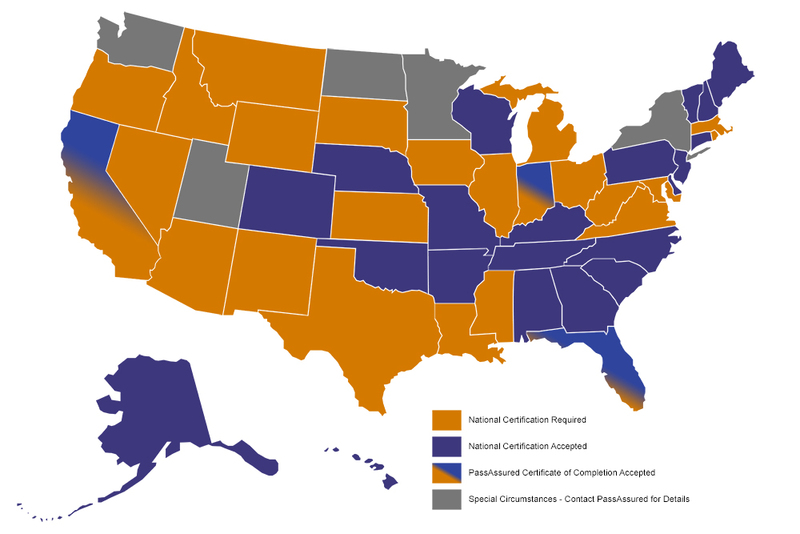 Not all states require technicians to become nationally certified and have other options. Hover your mouse over your state to see what national certification exams are recognized; click on your state to visit your state board of pharmacy or licensing division's website for further information.